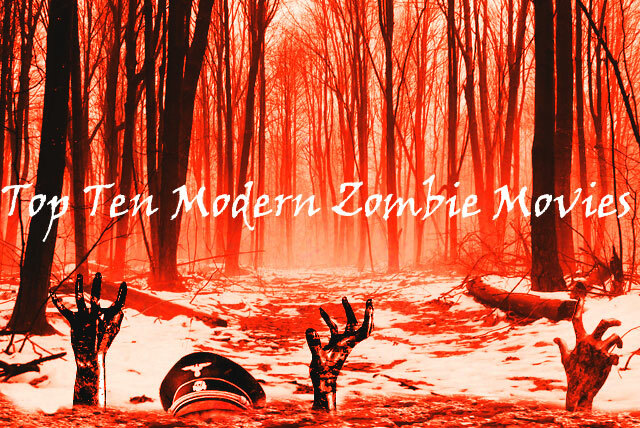 We know what you are thinking: Another zombie movie list that is guaranteed to piss me off. It might, it really, really might. But we are doing it anyway! What qualifies as a zombie flick though? Some genre purists insist that zombies must only be the reanimated dead in order to meet the qualification. Others allow for virus addled cannibalistic humans. A third group will argue that to meet the original definition from Caribbean or African voodoo, of which the word originated from the Bantu term “zonbi,” is a MUST. Depending on who you talk to and their specific definition of the word, there is no agreeable “right” answer. 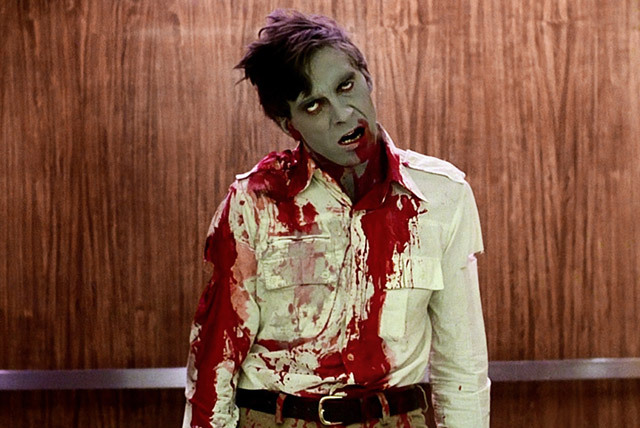 Even genre staples like George A. Romero’s Night of The Living Dead might not qualify as a true zombie flick to some fanatics. So for this list we’re relying on Merriam-Webster to help us out. Now that the semantics are out of the way, let’s officially start this list. 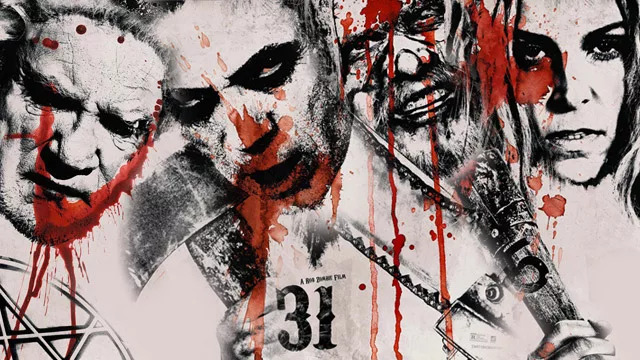 Starting off the list is one of the two most controversial movies you can mention when discussing what does and does not qualify as a zombie film. The only other film that will generate as much outrage is 28 Weeks’ predecessor, 28 Days Later. 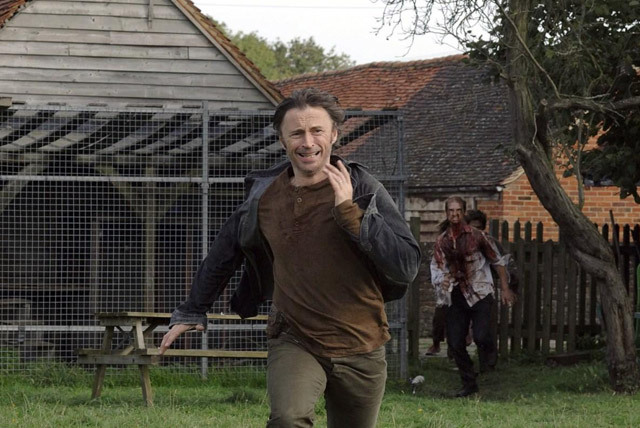 28 Weeks Later takes place six months after the devastating outbreak of the “rage virus” introduced in 28 Days Later. With military intervention and heavily quarantined areas, society has just started to rebuild when a surviving carrier of the virus unwittingly begins the horror once more. Later actually amps up the excitement from the first film, which often relied upon quiet moments and dialogue to push the narrative. Straight away viewers are treated to an adrenaline filled, fast paced, grotesque piece of art. Robert Carlyle’s permanent, chiseled grimace lend perfectly to the role of protective father and (less protective) husband, and the dizzying, chaotic cinematography will keep your interest piqued throughout. Overall, it’s a very well done sequel that lives up to the hype of the original. We’ve mentioned Pontypool before but couldn’t help but include it once more. Perhaps the least well known zombie flick on this list, it definitely deserves some recognition. 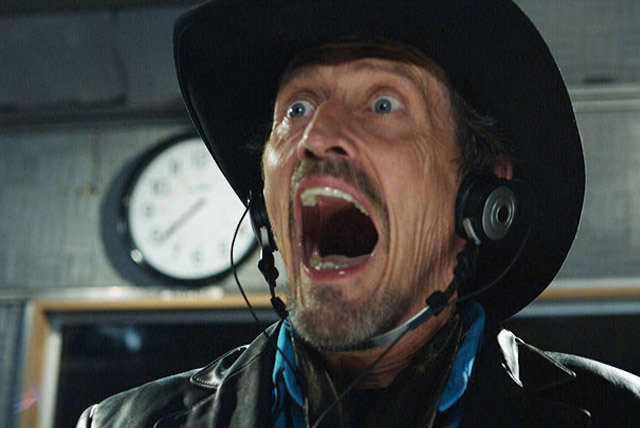 Radio DJ Mazzie, played by Steven McHattie, talks the viewer through what initially appears to be a localized viral outbreak but quickly devolves into chaos. This film is especially good if you enjoy all the aspects of a zombie flick with a lot less gross. That’s not to say there isn’t any blood, in fact the scenes that use it REALLY use it, but for a greater part of the film it sometimes feels as if you’re listening to an audio book rather than watching a movie. And while that may sound like it defeats the purpose of a film, let me tell you why it doesn’t. 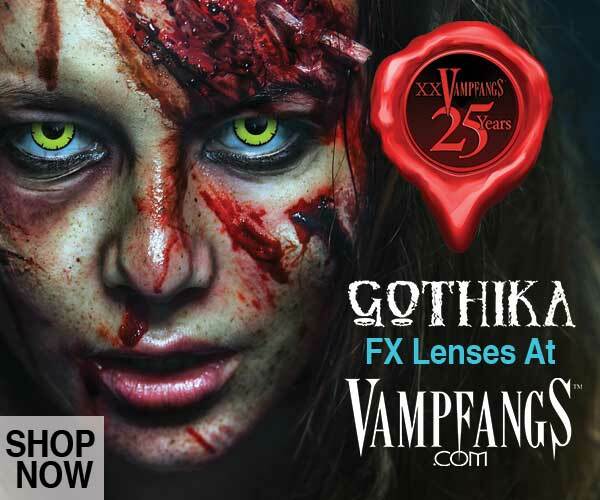 In order to be an effective zombie movie without the expense of special FX, each excruciating, blood soaked detail must be described REALLY WELL. And if you’ve ever read a book series only to be disappointed at the film adaptation, maybe you can relate. Truth is, imagination can sometimes topple what visual FX can do, and Pontypool offers the viewer a chance to create any number of horrific scenarios for themselves. All of this, not to mention the incredibly unique way in which the virus is contracted and spread, makes this a zombie movie worth watching. Who says zombie flicks are only allowed to be scary? Comedy and cheese is as much a part of the genre as horror and Zombieland pretty expertly weaves in a little bit of each. Following four survivors as they search for a supposed safe house (and box of Twinkies) in Los Angeles, the film lets the audience in on all the rules needed to survive a zombie apocalypse. Sharp, witty and featuring a star studded cast including Woody Harrelson, Jesse Eisenberg, Emma Stone, Abigail Breslin, *deep breath* Amber Heard, and Bill Murray playing Bill Murray himself, Zombieland offers cringe inducing zombie kills and gory comedic relief. A 90% Certified Fresh rating from Rotten Tomatoes only helps cement this modern zombie thrill ride on anyone’s list. World War Z got a lot of viewer flak despite a pretty consistent 7/10 rating from most critics, and there’s a reason for it. Much of the initial hype generated around the film were from die hard fans of Max Brook’s novel of the same name, of which the film heavily deviated. Fans of the novel were unforgiving in their critique of the film, lambasting it despite the beautiful cinematography, high production value and compelling acting. World War Z stars Brad Pitt as a former UN employee selected to assist the world when a terrifying strain of infection turns any human who contracts it into horrifying, flesh eating, creatures that would give Usain Bolt a run for his money. No mindless, slow shuffling zombies here, no way. Instead, the infected often move together as a somewhat cohesive unit, clamoring over one another to build towering human pyramids that aid in getting over walls and toppling full size tour buses with sheer, raw rage. World War Z is actually Brad Pitt’s highest grossing film of all time, bringing in more than half a BILLION at the box office world wide. Seriously, we’re pretty sure that if the film had gone by any other name, it wouldn’t have received even half the criticism that it did. Land of the Dead is the fourth installment in George A Romero’s “Living Dead” series with over 20 years separating it from it’s predecessor, Day of the Dead. The time in between films only aided in its success with enhanced special effects and the addition of CGI as well as a more modern take on the series. 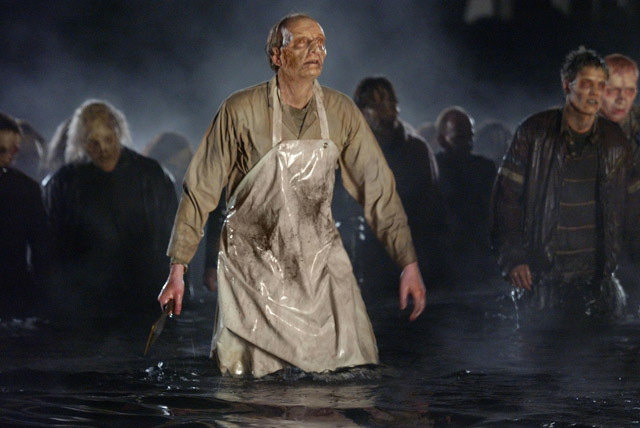 Land of the Dead offers viewers little hope, with the undead population far outnumbering the remaining survivors. To make matters worse, the few remaining are divided against themselves as Romero – in classic Romero style – offers critical social commentary, this time taking aim at class warfare. Dennis Hopper and John Leguizamo lend their talents to lead audiences through two completely different human experiences. Hopper’s Kaufman is a wealthy, ruling class politician who remains far removed from the fallout of the apocalypse and Leguizamo is rebelling underdog, Cholo DeMora. All of this occurring in a world where zombies are aren’t actually all that mindless, instead showing some semblance of intelligence in their formations and attacks. Land of the Dead was a truly good addition to Romero’s classic series. Another Romero classic makes it onto the list, this time in the form of Zach Snyder’s 2004 remake of the same name. Dawn of the Dead doesn’t stray from the original premise, a group of survivors trapped in a secluded mall during an undead apocalypse, but the stylized, saturated colors, larger budget and fast paced filming added some flair and realism to an already stand out film. 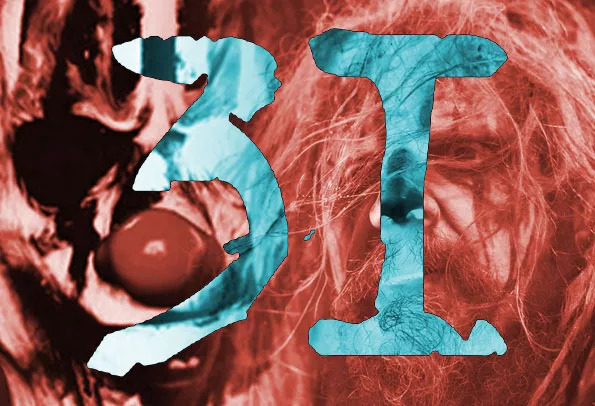 The film kind of has it all, a good blend of subtle humor mixed with gross out special effects and fairly complex characters that experience failure and redemption throughout the course of the film. Earning a solid 7.4 from IMDB ratings and featuring the writing talents of James Gunn (Guardians of the Galaxy), this is a must see for any zombie fan. While not the first film to feature Nazi zombies (Shock Waves gets that honor), it is perhaps one of the funnest films featuring villains donning SS attire. Following a group of Norwegian students who decide to spend their holiday skiing in desolate mountainous terrain, Dead Snow pulls not only from classic living dead zombie lore, but also from Scandinavian draugr mythology. 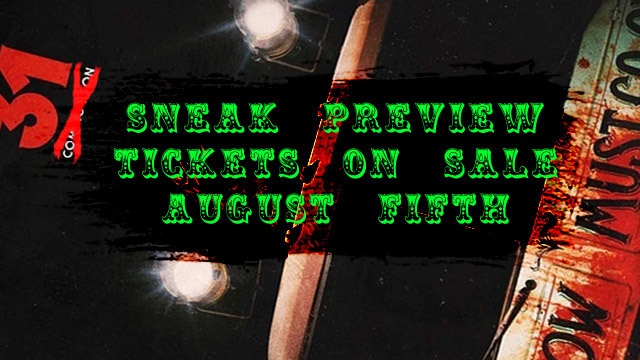 Not one to shy away from gore, it features various instances of bludgeoning, gut busting and limb removal (and literal limb removal, with one scene involving a tree branch impaling the eye socket of a Nazi officer). Seriously, if you’ve ever questioned the tensile strength of undead intestines, Dead Snow takes aim to answer it. 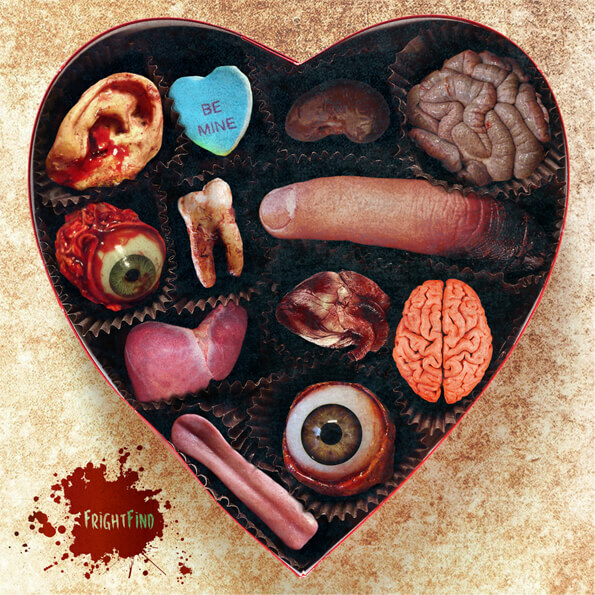 Despite this, the gore isn’t really overwhelming, maybe due to the folksy, feel good soundtrack that overlays some of the more grisly scenes in the film. Dead Snow is a great example of seamlessly blending comedy and horror. Coming in at number three is the comedic horror installment of Edgar Wright’s “Three Flavours Cornetto Trilogy”. Starring everyone’s favorite bromantic, lovable oafs, Simon Pegg and Nick Frost, Shaun of the Dead is a witty, satirical take on the genre. 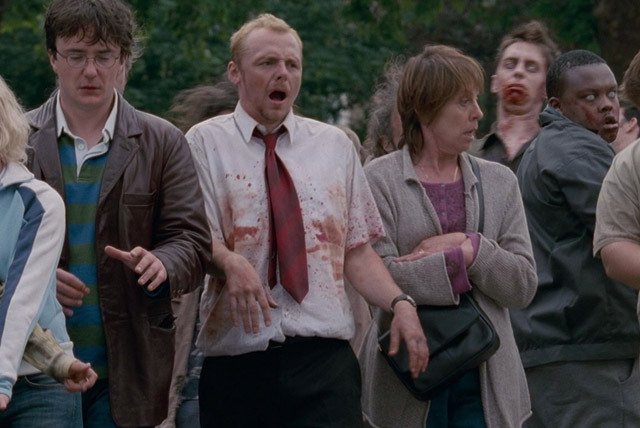 Zombies often take a back seat to the story, which centers around titular character Shaun (Pegg) who plays a sweet, but unmotivated son and boyfriend working through various relationship issues and character flaws. Frost joins alongside as Ed, the goofy side kick to Pegg’s Shaun, a likewise unmotivated character but one who is fully content in his scruffy haphazardness. 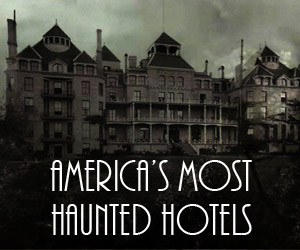 But don’t be fooled into believing that this movie is all laughs with no scares. The film does a great job of lulling you into security with goofy gags, just to throw it all out of the window with a shocking or heart wrenching character’s death. Shaun of the Dead is almost always on everyone’s list of best zombie movies and there’s a very good reason for it. We’ve already discussed why and how this film’s sequel made it on to the list, so we won’t bore you with the dictionary definition or etymology any further. Instead, we’ll talk about why this movie deserves its number two spot. 28 Days Later takes place roughly 28 days after a virus has decimated the UK. 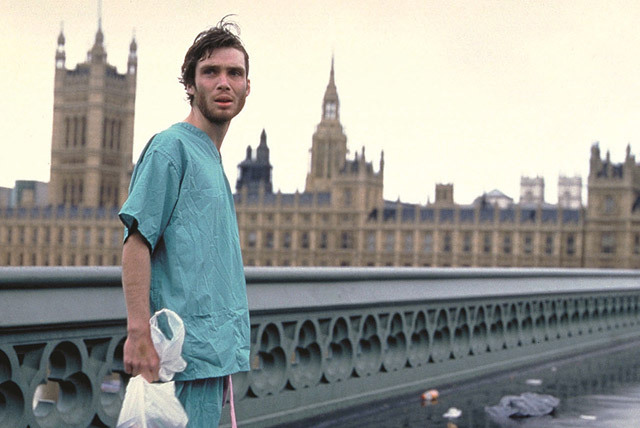 Opening with a shot of a naked Cillian Murphy who wakes from a coma only to find a ravaged and desolate city devoid of life, 28 Days Later is definitely not a romantic comedy about a woman with a substance abuse problem. This is not a zombie movie. 28 Days Later is unique in its storytelling, with the main character Jim being as clueless to his surroundings as the audience. Jim (Murphy) takes to the litter filled streets only to eventually meet up with a small group of survivors who explain what he’s missed while in his comatose state. What ensues is truly terrifying. 28 Days Later features rage filled hordes of cannibalistic humans with enhanced strength, speed and a desire to do what every good virus does; spread. While it could have easily spent its nearly two hour run time jam packed with violent, grisly action, the film actually has a lot of quiet scenes. Focusing on the survivors relationships as heavily as it does the gore, viewers build an affinity for the characters on screen and truly wish for their survival. 28 Days Later would have kept its number one spot on the list had our next contender, and one of the genre’s most recent additions, not taken that spot. If you’re a fan of horror, you’ve likely run across at least one of South Korea’s mind blowing-ly good horror flicks. And if you’re a fan of Korean horror flicks already, you know just how quickly the action begins. Train to Busan introduces you to the characters, their relationships and a neatly packaged premise within the first few quiet moments. 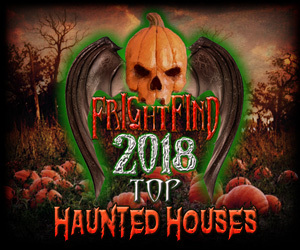 Yet it does something that a lot of other horror movies lose along the way, and that is that it manages to continue developing the bond between the characters themselves – and between the viewer and the characters – even amid total, rampant chaos. 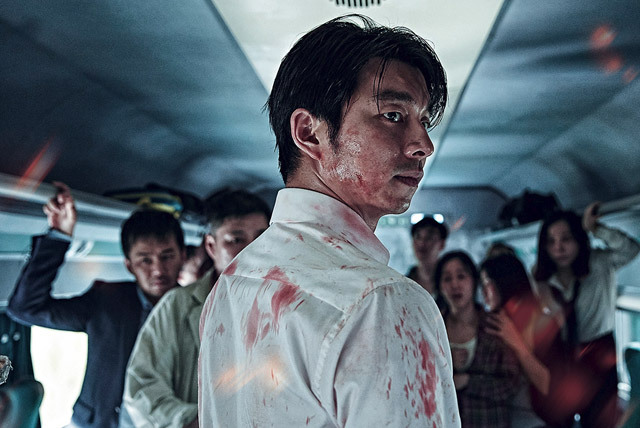 Train to Busan follows Seok-Woo (played by Yoo Gong), a single, well meaning but slightly absent, workaholic father who gives in to his young daughter’s wish to spend her birthday with her mother in another town. Prior to departure their train is unknowingly boarded by a carrier of a deadly, fast spreading virus. What follows next is a full-tilt, white knuckle thrill ride. In the rare somber moments, the film manages to describe the various passengers and their relationships without feeling heavy handed or forced. Even during more peaceful character development moments however, you feel a constant, nagging stress in the back of your mind. The word “tense” doesn’t do this movie justice. Beautifully acted, subtle but fantastic makeup effects and wonderfully directed, Train to Busan deserves more than one viewing and earns its place at number one on our list. Let us know what your favorite zombie movie is (or yell at us for including 28 Days Later! )in the comments below!